The only real estate network affiliated with a fine art house. Specializing in luxury properties valued at US$1 million and above. 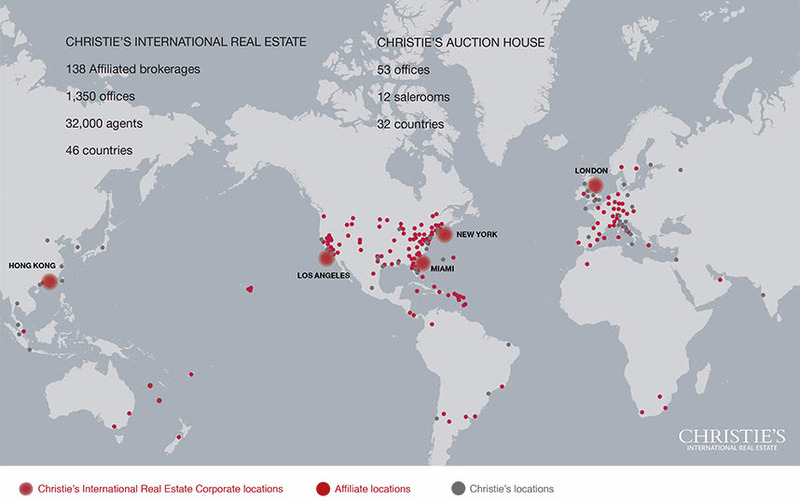 Corporate offices in New York, London, Hong Kong, Beverly Hills, Palm Beach, and Moscow. Marketing programs mix new media with proven techniques, constantly evolving to meet the demands of the future. Achieved US$113 billion in sales in 2014. Worldwide network is comprised of more than 135 Affiliates and 27,000 agents across 46 countries. Invitation-only affiliation comprised of the leading luxury brokerages in their local markets. 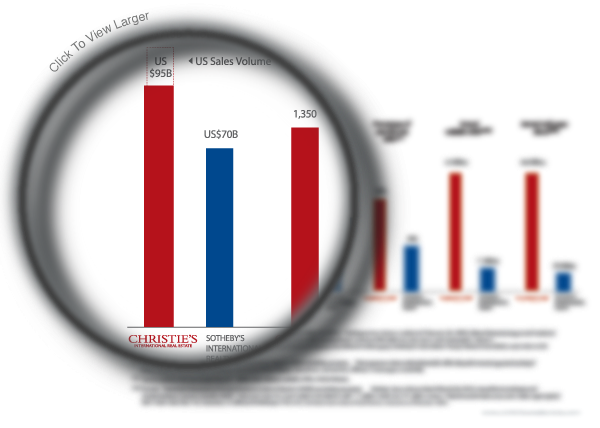 Christie’s website attracts more than 1M visitors a year. Consistently ranks among the top results on major search engines for luxury real estates. The CGE site has active listings in 19 languages and more than 40 countries. Bespoke Marketing for customized marketing solutions designed for only the most extraordinary properties. 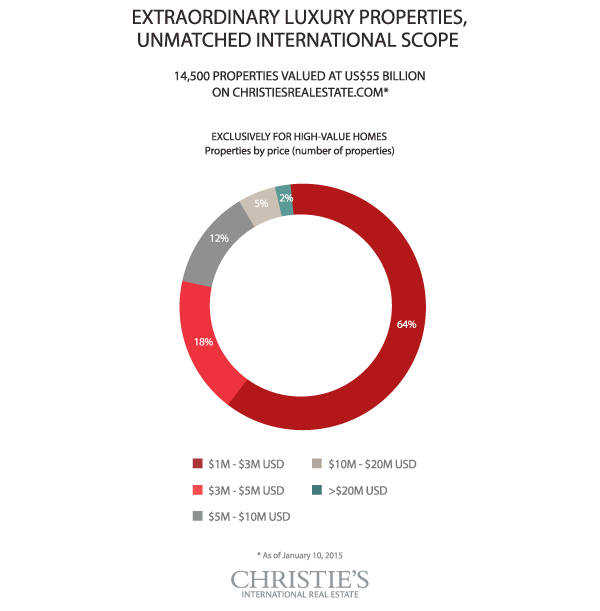 Signature Program, a digital showcase for distinctive properties worldwide with digital advertisements in prestigious publications and prominent placement on the Christie’s International Real Estate homepage. Development Project Marketing (DPM) service is designed to advise, launch, and market exclusive new developments, resorts, and urban projects. Christie’s offers a comprehensive suite of client services including estates and appraisals, insurance valuations, private sales, fine art storage via Christie’s Fine Art Storage Services, and educational programs through Christie’s Education. 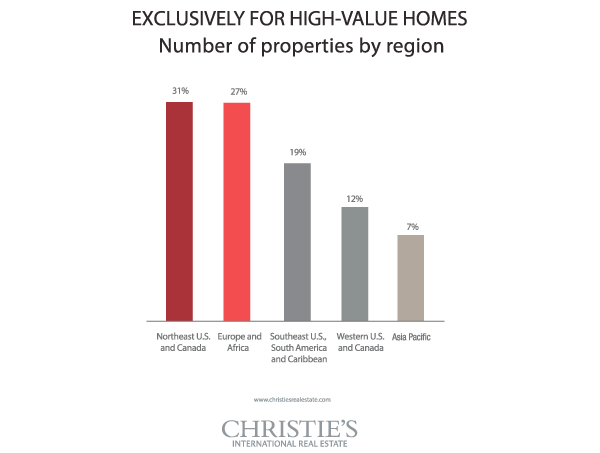 All residential clients are eligible to receive the full suite of Christie’s services.